A perfect pairing of metal and stone. 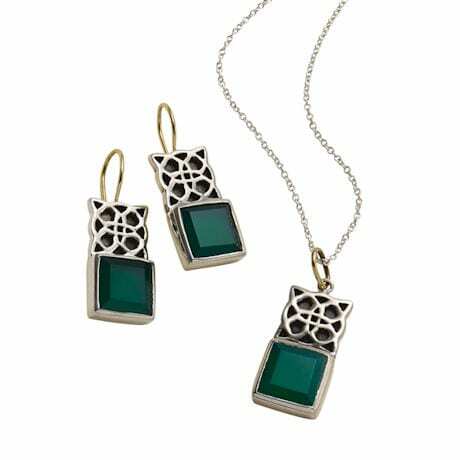 Sterling silver Celtic knots square off with bezel-set onyxes in Irish green. 7/8" pendant arrives on an 18" sterling silver chain (sold separately - XB8707). Earrings (XB8717) hang 1 ¼" on sterling wires.